A mindfulness practice allows you to develop a relationship with your higher self. This relationship is explored through your inner voice, your intuition. It is through prayer that we talk to God and through meditation, God talks to us. However, you think of this voice, as your higher self or God, learning how to hear it and then acting upon it, is life changing. I believe this is where true self-confidence is built. We can learn what is right for us, what will serve us best. The many options life offers become easier to manage the deeper this relationship is explored and the better we become at hear the voice and taking the steps. 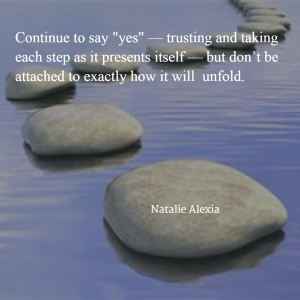 Build mindful trust in yourself. Feel the peace. Find the contentment and confidence you get from living from your highest truth. Begin with ten minutes a day, every day and see where it leads you. I promise it is worth your time.